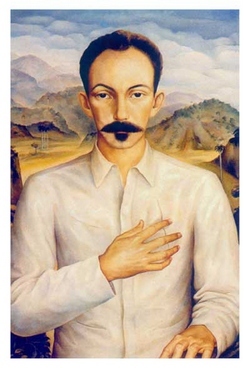 The thought of Jose Martí is our radiant soul, Dominican Republic´s Labor Ministry Max Puig stated, when inaugurating the 6th meeting of the World Council of the UNESCO Project on the Cuban National Hero. Puig remembered how in his visit of 1892 to the Dominican Republic, Martí dazzled and convinced men and women of the time with his lit verb and passion for the independence of Cuba of the Spanish metropolis. The meeting was held in the headquarters of the Dominican Republic Foreign Ministry at two days of the 115th anniversary of the Manifesto of Montecristi, signed by Martí and Generalissimo Maximo Gómez, just about to take the ship to lead them to Cuba to restart the war. The thought of Jose Marti is the guide of those who aspire to a better world, Puig said who remembered that Marti left a valid premise for our continent: if the miss union was our death; on union our life depends. A message by Doctor Armando Hart, director of the Marti Program of the Cuban State Council, was read by the subdirector of this institution, Gustavo Robreño. Hart evoked the works of the UNESCO Jose Marti Project José Marti since 2003 and mentioned what he described as mankind´s main task, to avoid its extinction because of the pillaging of the environment. On their behalf, Pedro Monreal, specialist of Programs of UNESCO, said that the meeting is an ideal scenario to give the reflection on the thought of Jose Marti a continuity. "UNESCO guarantees its support for the institucionalizatión of the José Martí Project," underlined Pierre Sane, UNESCO assistant general subdirector . began in the evening session.